The answer to the follow question, “Which of the following was approved table manners at the first Thanskgiving” was D) all of the above. Only three days left until Thanksgiving teachers! Here’s tonight’s Thanksgiving question – what’s your favorite Thanksgiving food? 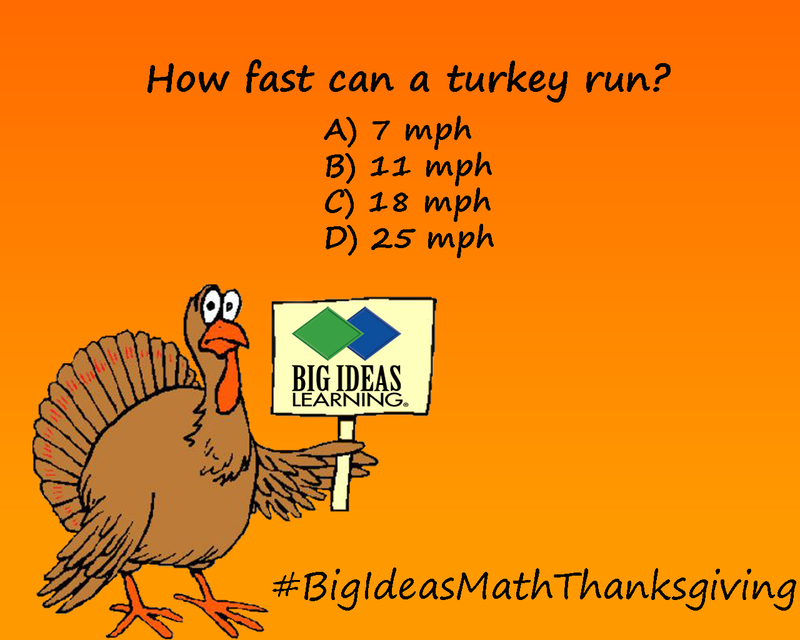 The answer to last night’s question, “how fast does a turkey run” was 25mph. Posted in Questions + Polls, Uncategorized	| Be the first to comment! Hello friends! We will be posting a series of questions to get you all in the holiday spirit. 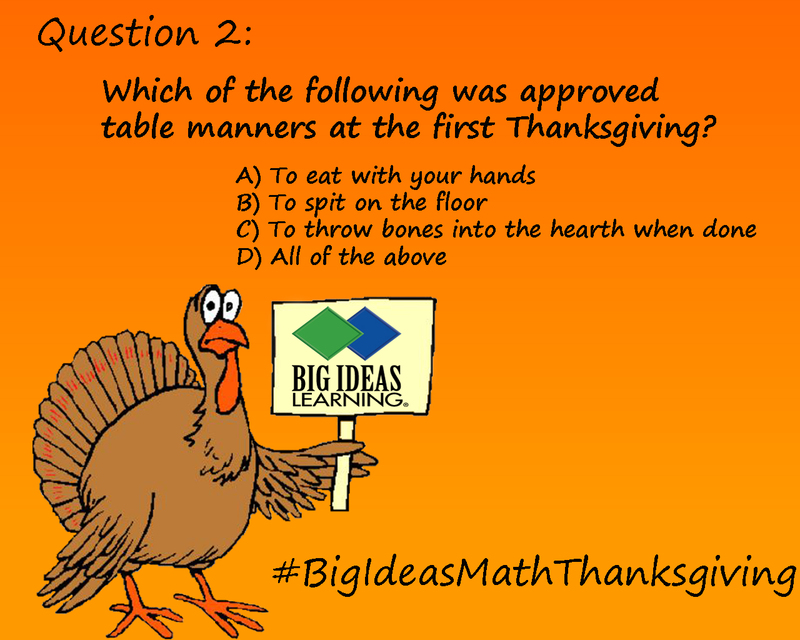 Each day, a Thanksgiving related question will be posted for you to answer. All answers to our questions will be revealed the next day when a new question is asked. 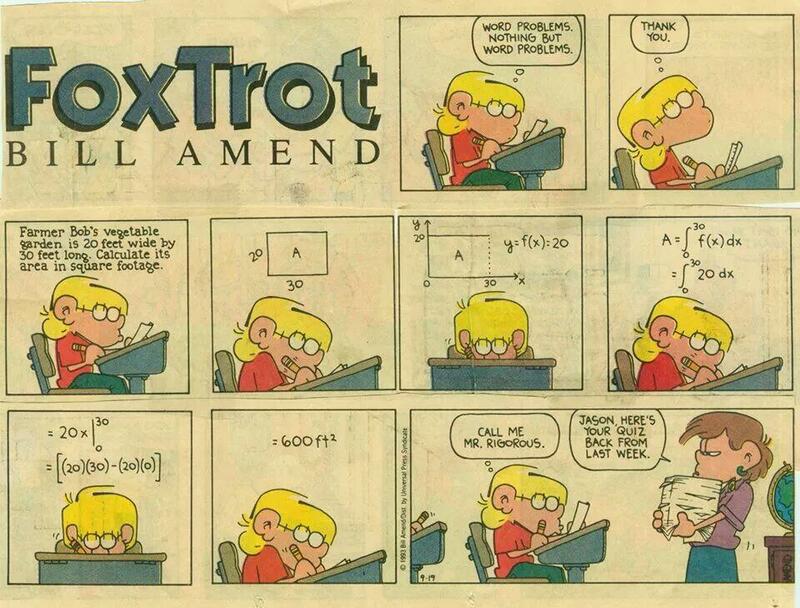 The Common Core State Standards have brought about a shift in the way mathematical concepts are taught. Now educators are being tasked to bring rigor into their classrooms and ensure their students can not only memorize mathematical formulas, but apply mathematical concepts and explain their reasoning when problem-solving. As students progress from learning basic concepts to higher levels of understanding, their newer knowledge builds and expands upon what they previously learned. The introductory level might ask a student to recall and/or apply a formula. Higher levels ask students to justify their thinking using reasoning to apply the skills they have learned. Conceptual Understanding – Knowledge about something acquired in a meaningful fashion; deeper understanding for something. Procedural Skill and Fluency – The skill in carrying out procedures flexibly, accurately, efficiently, and appropriately. Application – Applying appropriate skills and knowledge towards a problem with ease. In the following video, “Common Core Instructional Shift in Mathematics: Rigor”, the three components are explained in greater detail with examples in each stage. As you can see, adding rigor to the classroom allows for a student to think, learn and understand mathematical concepts on a deeper level. This is not just beneficial for students as they move through their academic careers, but rigor is also what the Common Core calls for. Have you successfully implemented rigor into your classroom? Let us know your thoughts on the subject by commenting below. The thing I'm looking forward to the most about Thanksgiving break is?